Margate Babysitting with Sitters at the Shore is a premier sitting service. When parents vacation in Margate, calling a babysitting service for a parent’s night out is ideal. Parents are comforted knowing that for the past 20 years Margate Babysitting with Sitters at the Shore has been the business to call upon. Sitters are ready, willing and able to care for children of all ages at any time. Just give a call or book on-line an Margate babysitter and you will be one of the many families calling every visit! Longport, Margate, Ventnor, and Atlantic City are located on Absecon Island, which stretches for a least 8.1 miles. The sand, surf and sun along with the great attractions along this coast makes for a memorable vacation for the whole family. Our sitters at the Shore will come right to you to give you a night out on the town. Longport, the southern tip of the Absecon Island, offers a quiet atmosphere that is just a stone’s throw from the boardwalk of Ocean City and the high-end nightlife of Atlantic City. Visitors will find this town to be the perfect combination of lazy day activities with the convenience of world-class nightlife nearby. Longport enjoys a varied community with homes ranging from extremely lavish to typical, cozy beach bungalows. Longport babysitting with Sitters at the Shore is your best call. With Little Egg Harbor situated just on it’s western border, Longport offers many opportunities for fishing, kayaking or any other water sport that one might enjoy. The beach of Longport is pristine, perfect for surfing, sunbathing or simply strolling the sand in search of the perfect seashell. Our babysitters love the causeway into OC to fish off the new piers or to venture on to play with the kids on the boardwalk. it’s listed on the National Park Registry of Historical Landmarks. The walk up the body of the Elephant and the peek out the window along with learning the history of this magnificent structure is something everyone would enjoy. 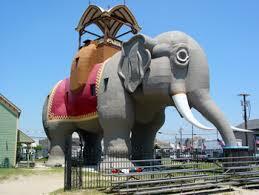 Did you know other shore towns had large structures like this, but Lucy is the sole survivor thanks to many community volunteers. It’s a wonderful place to be. Margate Babysitting with Sitters at the Shore is your first call for a great parents night out. Ventnor, next door to Atlantic City is home to a variety of significant cultural, historic, educational, and artistic venues. All of Ventnor, from the beach to the bay, has something to offer everyone. Ventnor features beautifully maintained beaches, a picturesque bay front, privately owned restaurants and shops found nowhere else and historic landmarks. Ventnor’s most notable attribute is their famous boardwalk. Running nearly two miles along the coast. The boardwalk is perfect for sightseeing, biking, running and more. Off the boardwalk is New Jersey’s last public fishing pier and the boardwalk extends to Atlantic City. St. Leonard’s Tract, is a pristine section of Ventnor with historic estates, established in the early 1920s. Ventnor offers beach fun for the whole family, with their beach volleyball courts, tennis courts, the Viking Rowing Club, fishing off the Pier and more. Ventnor Babysitting with Sitters at the Shore is the call to make so you can enjoy this beautiful island. 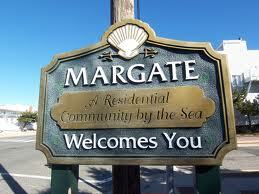 Margate Babysitting with Sitters at the Shore sends babysitters into all three areas throughout the year! So give us a call today to reserve your sitter for your time away!